Without enough cold weather from mid-November to February, many fruit trees like apple, peach and cherry will fail to produce flowers and, therefore, fruit. This requirement for winter cold is called vernalization and is measured in chilling hours, the number of hours with temperatures in the 32 to 45 degrees Fahrenheit range. Gardeners across the United States can grow sour/pie cherries (Prunus cerasus) or sweet cherries (P. avium) in U.S. Department of Agriculture plant hardiness zones 4b through 8. Cherry fruit trees generally need to endure a winter with between 1,000 and 1,500 chilling hours to meet the minimum threshold for vernalization, according to Mark Rieger of the University of Georgia. However, considerable variation in the need for cold exists among the various cherry cultivars. In USDA zones 4 through 7, enough winter cold consistently occurs each winter, but in zones 8 and 9, local climate may supply only 400 to 700 hours of chilling at most. If less than 500 hours occurs, the vast majority of cherry trees won't reliably flower and fruit. While Rieger's general chilling hour range proves accurate, gardeners in regions with mild winters can still meet vernalization requirements for various cherry trees. While flowering and fruiting may not be dense and widespread across a tree, as little as 400 to 600 chilling hours allows sweet cherries such as Stella and Lapins to produce, as least in California's climate. The common Bing cultivar produces best with a minimum of 1,000 chilling hours, although Dave Wilson Nursery in north-central California recommends as little as 700 hours for success. Low-lying valleys tend to collect cold air in winter and supply more chilling hours than wind-sheltered gardens or on south-facing hillsides. Extensive breeding of cherries by the Zaiger's Inc. Genetics of Modesto, California led to introduction of low-chill requiring cherry trees. These varieties prove particularly useful to gardeners in USDA zone 9 in California, southern Texas and peninsular Florida. Zaiger's released Royal Lee, Royal Lynn and Royal Helen, which flower and fruit with as few as 200 to 300 chilling hours in winter. Dave Wilson Nursery is the only licensed facility nationwide to propagate and distribute fruit tree cultivars developed and patented by Zaiger's. Review of print and online literature regarding chill hour requirements of cherry fruit trees provides varying and sometimes conflicting data, especially when comparing California with Southeast sources. Anticipate 1,000 chilling hours for the best, most-reliable production of flowers and fruits on cherry trees. 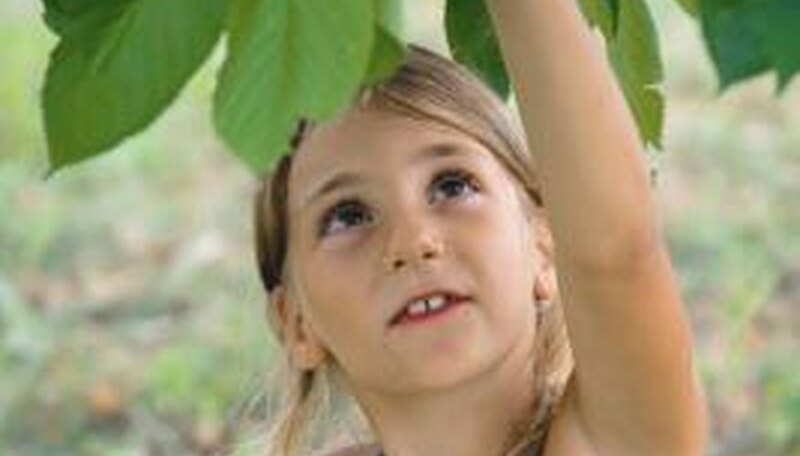 Contact your local cooperative extension office to learn of recommendations for appropriate cherry tree cultivars for your climate and soils. Clemson University; What are Chilling Hours and What Do They Have to Do with Dormancy?